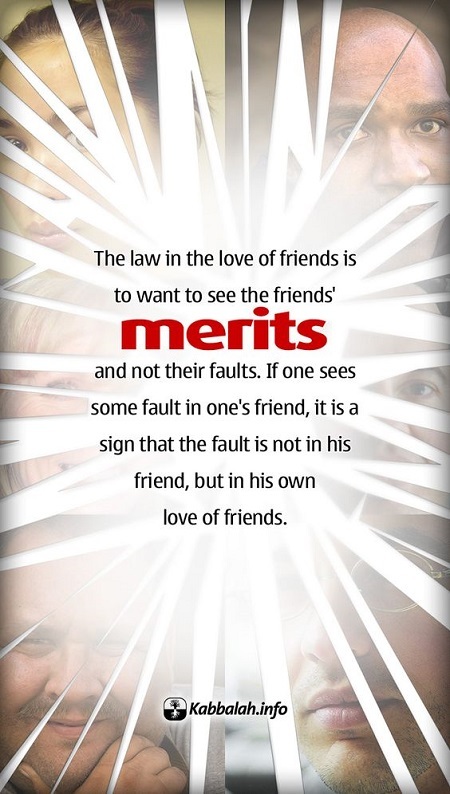 The law in the love of friends is to want to see the friends’ merits and not their faults. If one sees some fault in one’s friend, it is a sign that the fault is not in his friend, but in his own love of friends. WHAT IS LIFE? DOES LIFE HAVE A MEANING? Find a Kabbalah introductory lecture in your city.